BEST BET FOR SHORT STORIES. Plot summary, characters and themes, cultural and historical significance, excerpted criticism. Introduces major short story writers. Organized by author with a cumulative index at the end of the set. BEST BET FOR NOVELS. Historical and literary context, themes, plot, characters, and analysis. BEST BET FOR POETRY. 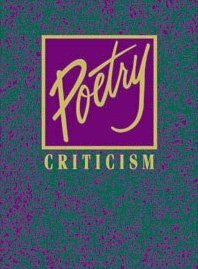 Introduces the poem and author; themes; literary techniques; historical context. Biographical information and critical excerpts on many frequently studied poets. BEST BET FOR DRAMA. Play overview, brief biography, plot summary, annotated character list, themes and criticism. Start your research with reference guides to historical and contemporary authors, their times, and their works. 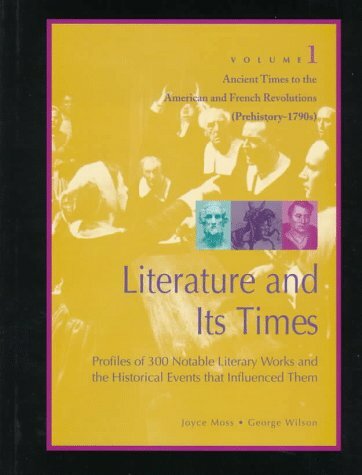 In-depth commentary on characters, themes, and the historical and social context of 300 most-studied literary works. Use the SEARCH WITHIN PUBLICATION box. Use the GALE LITERARY INDEX to locate criticism within Gale publications. Our library does not subscribe to everything Gale publishes, and we have many volumes of criticism by other publishers.